Mr. Snowman can’t wait for winter each year! His favorite things to do are celebrate the holidays, sledding, snowball fights and more. 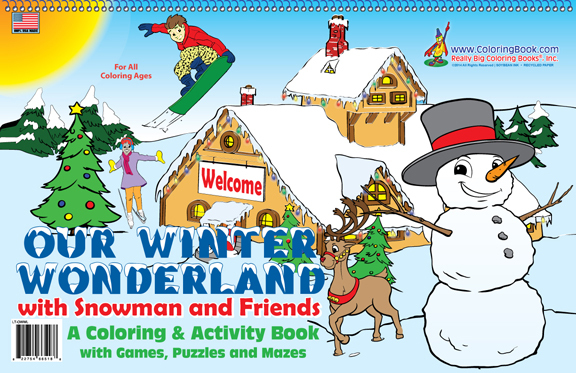 Our Winter Wonderland LapTop coloring book is good for past New Year’s Day into the winter and will give children ideas for outdoor play in the snow. The LapTop books bring out the art of coloring in this high-tech age and help promote creativity in children and parents alike. 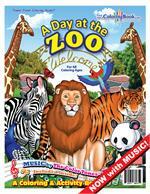 A colorfully, fun panoramic coloring book that is wider than it is tall, LapTop Coloring Books open like a laptop computer and will easily sit on a child’s lap because of its plastic spiral binding. The books “flip open” from the top. With 24 pages measuring 17” wide by 11” tall, this playful panoramic book includes interactive “Get Creative” pages that help promote creativity and coloring! Join Mr. Snowman as he celebrates the many reasons why the winter season is his favorite. 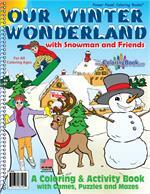 From sledding to celebrating special holidays like Christmas and New Year’s, this book will provide children with fun and engaging activities. 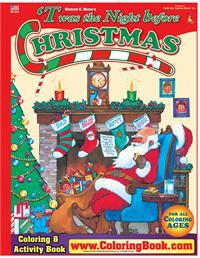 ‘Twas the Night Before Christmas (17.5" x 23.5") accurately captures the details of the classic holiday poem, right down to the sugar plums dancing on the pages! 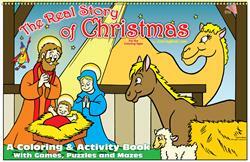 This giant coloring book will make a great addition to your holidays!